Flies, smells, slime: the afflictions of a neglected rollout garbage container are especially disgusting. 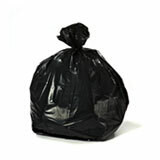 You can stop all of these issues before they even start by making sure you’ve got the right garbage bag for the job. These large trash liners are all perfect for 64 and 65 gallon rollout carts. 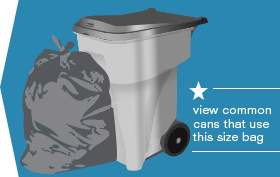 If you have 64 Gallon Toter® Wheeled Trash Can Cart®, try out our Toter® Compatible trash bags with 12" more height. 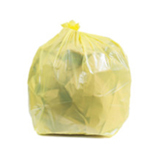 Our 64 & 65 Gallon Bag collection offers many bags that usually work well in the cans below. 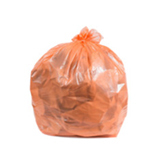 It may seem a little obsessive, but here at PlasticPlace, we’ve made it our mission to rid the world of badly-fitting garbage bags. The right bag for the job makes all the difference. If your trash bags fit correctly, and if you choose the right material and thickness for the type of trash you’re throwing away, leaks become a thing of the past. Without leaks, you have less bacteria. With less bacteria, you have less slime. With less slime, you have less odor. With less odor, you have less flies. Magic. 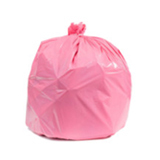 64 Gallon trash can liners and 65 gallon trash bags are made to line your huge rolling trash cart, so you can keep it clean and free of bacteria. Commercial garbage can liners come in all shapes, sizes, and colors, and we’ve brought them together here to give you the best selection. 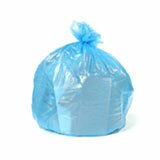 Our collection of large garbage bags have been specially manufactured for different needs. 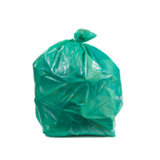 We have clear garbage bags, blue recycling garbage bags, economical black can liners, and extra heavy duty extra large trash liners so thick and strong they’ll stand up to jagged glass and nails. 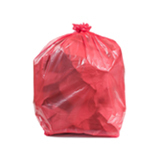 Moving to wholesale garbage bags is one of the smartest moves you can make for your budget. 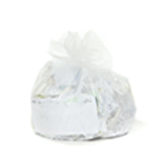 When you buy bulk trash bags, you win all around: less trips to the store, more money in your pocket, and a big supply of bags on hand whenever you need one. 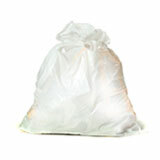 Thanks to our 100% satisfaction guarantee, you can stock up on wholesale trash bags with confidence. 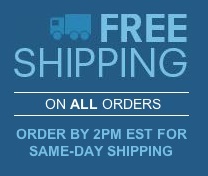 If you have questions before or after you buy, we’re always here to help.